Louisiana T. Hilliard, first lady of Humboldt Parkway Baptist Church for 45 years, died last Thursday under hospice care in her Buffalo home after a year’s illness. She was 89. Born in Anniston, Ala., the former Louisiana Thomas was the oldest of 12 children. She moved to Buffalo in 1946 with a high school friend and two years later married Rev. John T. Hilliard, who became pastor of Humboldt Parkway Baptist Church in 1972. She attended the University at Buffalo and Villa Maria College, majoring in library science. A mother of six, she also was a production worker for 12 years at Western Electric and for 15 years at the General Motors Tonawanda Engine plant. Mrs. Hilliard, affectionately known as L.A., was involved in many facets of the Humboldt Parkway Baptist Church. She taught an adult women’s class for 30 years, was a Sunday school teacher and served in the Missionary Society. She also was active in the Baptist Church on district, state and national levels. 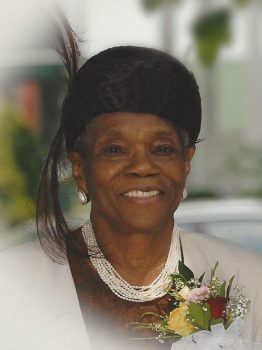 She was a past president of the Great Lakes District Ministers’ Wives and Widows Auxiliary, chairman of the Sick Committee for the Empire State Convention and a member of the National Baptist Convention. She was a member of the National Congress of Christian Education and a life member of the NAACP. She volunteered for Meals on Wheels for more than 25 years. Honored in 2001 with the Black Achievers Award, she also was recognized as an Uncrowned Community Builder. She enjoyed sewing, doing upholstery, traveling and taking cruises in the Caribbean and Mediterranean. In addition to her husband, survivors include three daughters, Linda Williams, Vicki Poole and Faney Foster; a son, Darryl; a sister, Betty Rogers; five brothers, Gus Thomas, Willie Thomas, Cleveland Thomas, Johnny Thomas and Clarence Thomas; a special daughter, Michele Palmer; nine grandchildren; and three great-grandchildren. Services will be held at noon Saturday in Humboldt Parkway Baptist Church, 790 Humboldt Parkway.